I have been raising worms for at least 17 years & now for the first time one of my bins have a lot of "small slugs" in it, mostly on the lid but some on sides. My other three bins don't have them. They are all close to each other. I DO have them in my basement, now but the floor is concrete. I'm really puzzled by this. I've read everything on raising worms & haven't seen this problem. Can you tell me what causes them & what can I do about them? I've just changed everything in the bin. Hopefully, that will work for now. Comments for Slugs in worm bin. 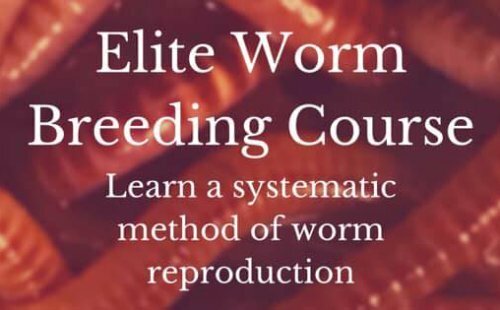 IN & AROUND your worm bin. Just sprinkle a little around the base of your bin or use a good 2-3 inch band around it. When the slug comes into contact with the DE it will turn the other direction as the silica is very very dry and absorptive. If the slug gets enough on it, it will surely die. To use it in your worm bin just sprinkle a little on top. Don't mix it in. Just keep doing this once a week until the slugs are history. I'm not quite sure how your slugs got into the worm bin. It could have come from something you brought in from outside that only went into that particular bin. Hey I notice some in my indoor worm bin very tiny baby slugs! They most likely got in through food that had slug eggs on it. I highly doubt slugs crawled across a concrete floor to find the bin. For mine it think it was in the stumps left from the bottom of romain lettuce. I've seen eggs and bug nests at the base of lettuce befor especially organic. It's likely there were eggs in lettuce. Or cabbage. Just pick em out and toss em in the yard they are harmless if you really think they crawled in you can put a ring of salt on the floor around your bin. Good luck! I had slugs in my worm bin and I found quite by accident that they love to curl up in a wet cardboard egg carton. Just put it on top of worm bin upside down and they are easily removed. Thank you so much for your help. This is an cheap and easy remedy.